Here we are again at the start of a fresh New Year, which often brings with it both misery and anticipation. Misery, as of course reality kicks in as we all return to work after the festivities and joys of Christmas, which is certainly a hard pill to swallow in many cases. However, positivity and anticipation can be in abundance for what the New Year ahead could bring. One thing that every New Year tends to bring is new trends and food is no exception to this. 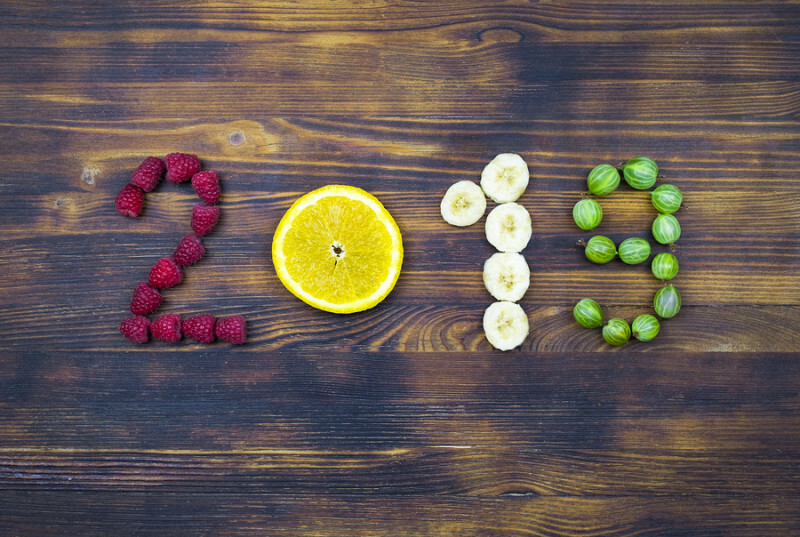 Many trends seen in 2018 such as veganism and gut friendly food, are still relevant for 2019 and the popularity of these two things continue to increase, so are certainly worth a mention again below. So let’s take a look at the food trends set to take 2019 by storm. Mushrooms may not be classed as one of the most exciting or intriguing foods, but 2019 could certainly change that image and become the year of the mushroom. Its increase in popularity comes from a number of things including the fact that there is growing evidence for the health benefits that many mushrooms offer, as well as the fact that many mushrooms have a meaty solid type texture, which means they can be a popular choice for vegetarians and vegans, the latter of which has become increasingly popular and continues to be so. Mushrooms are therefore a good faux-meat and easily used as a meat substitute in dishes that require one. The fact that there are so many varieties of mushrooms too, give them great versatility when it comes to cooking, from shitake, portobello and oyster to the lesser known varieties of maitake and eryngii, there is literally a mushroom for all occasions and to suit all recipes. Evidence suggests that shitake mushrooms can offer immune boosting properties and their high content or riboflavin make them a great food to support eye health. 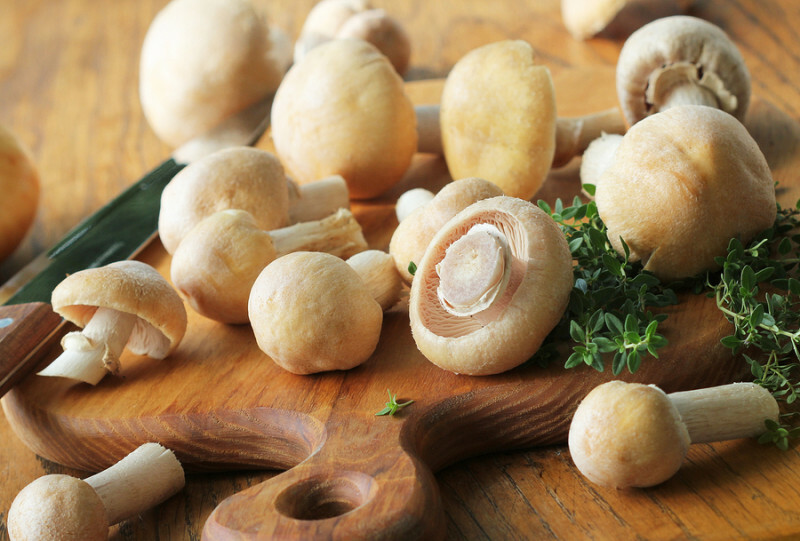 If you are on a weight loss mission this New Year then mushrooms are certainly a great friend too, as they are low in calories, but high in important nutrients such as B vitamins, selenium, potassium and in some cases Vitamin D too. It seems veganism is an unstoppable force at present and has been on the rise over the last couple of years. So much so, that the demand for vegan friendly foods has never been so high amongst consumers. With some statistics showing that veganism has increased by over 350% in England over the last decade it is no wonder that manufacturers, restaurants and supermarkets are keen to make and stock the latest trendy vegan friendly foods. 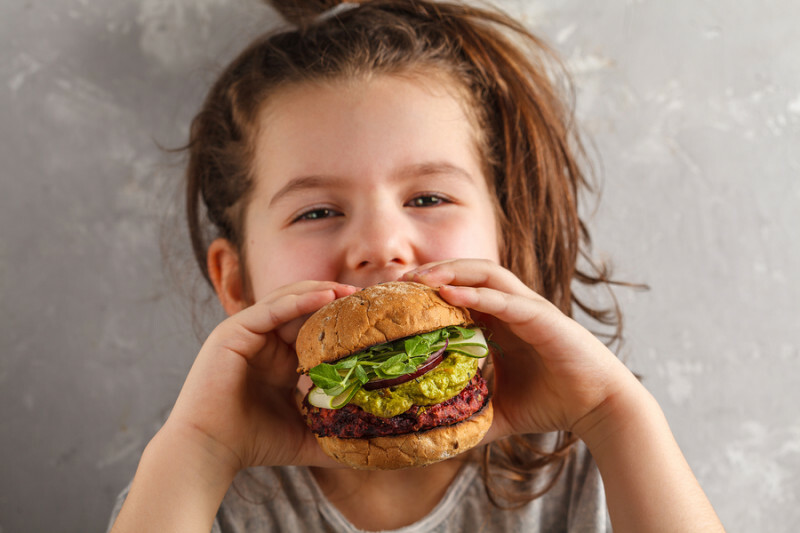 Not only is veganism a trend amongst the younger population, but also amongst those who are concerned about animal welfare, the environment and those who also consider it to be just a healthier lifestyle choice. So whatever your reason, you may wish to keep your eyes open for some new and exciting vegan friendly foods that will undoubtedly be appearing in supermarkets and restaurants near you this year. For many people, food has become an exciting creative and artistic medium to use in ways we may never have thought of previously. We now have people defined as food artists who create masterpieces with food, to either eat, just look at, or both. So with creativity for food growing, it is no surprise that people are experimenting in all sorts of ways to use popular and commonly purchased foods in new ways. One way of doing this is by ‘food swapping’ whereby we use a different food to replace another one that would commonly be used for that purpose. For example some of the common food swaps that are becoming more mainstream include cauliflower-rice, courgette spaghetti, vegetable crisps, avocado chocolate mousse, beetroot brownies, nicecream (ice cream swap made originally from bananas, but now can be made using a whole variety of fruit and vegetables including avocado) and cakes made from sweet potato. All these are great examples where other foods have been used in place of ones more commonly used for that purpose and we will certainly be seeing more of this in 2019. One of the main drivers of this trend is increased awareness of health, as many of these food swaps replace an unhealthy component with a healthier one, for example using sweet based vegetables to make cakes and brownies means less sugar and fat can be used creating a healthier cake. Keeping your gut healthy has been of increasing importance over the last couple of years, especially as research and the media has made consumers more aware of what effects this has on other aspects of our physical and mental health. This is especially important when it comes to immunity as, 70-80% of your immune function is found in the digestive system, so keeping your gut healthy is essential if you want a strong immune system. 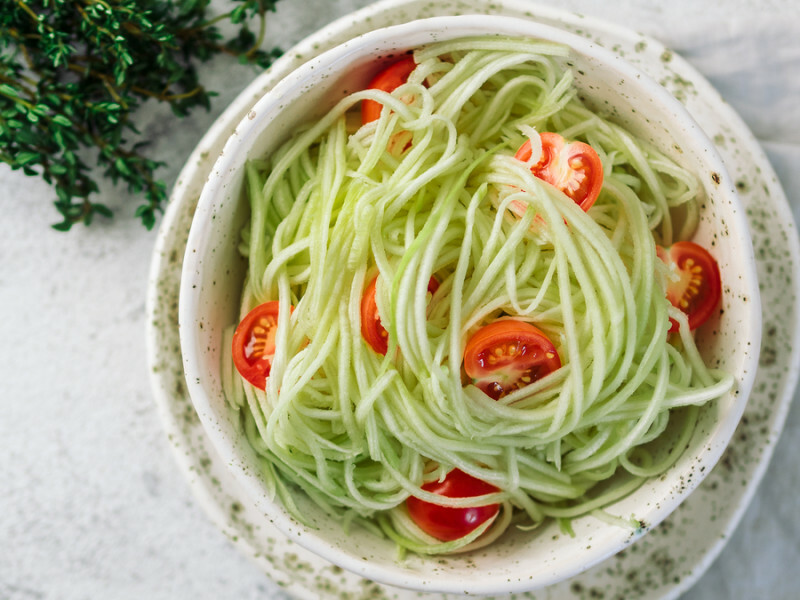 It’s therefore no surprise that this trend is a continued theme from last year and food manufacturing companies are now well on board with this trend as we are seeing an increase in food items that are combining themselves with probiotics. Previously this was much harder to achieve due to the fact most probiotic strains need to be kept refrigerated at a specific temperature to remain effective. However we now have available certain probiotic strains, which are termed ‘shelf stable’ probiotics that do not have the need for refrigeration and can be easily added to soups, nut butters, cereals and nutrition bars etc. 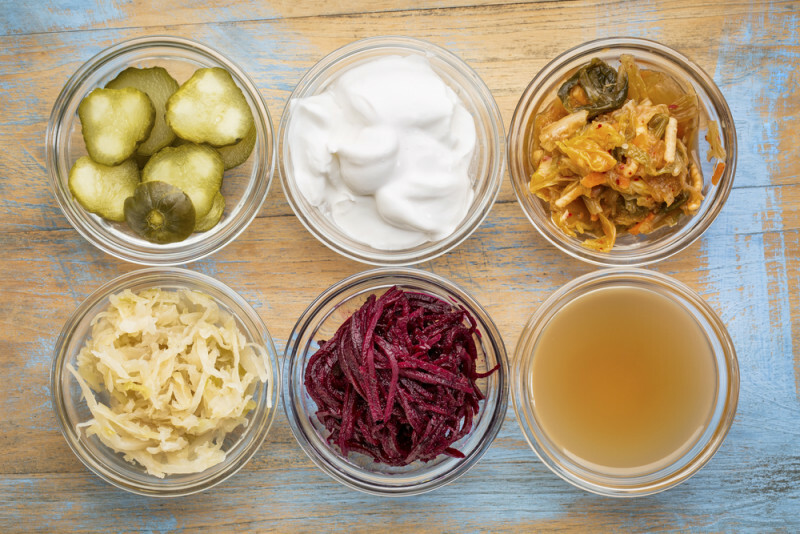 Fermented foods also come into the gut-friendly category as these foods are rich in a variety of different probiotics, which are ‘good’ bacteria. These probiotics are essential for the proper functioning and overall health of our gut and the intestinal flora that thrives there and will be increasingly popular over the coming year. As most of us know, the same trends come round again and again over many years and this is certainly true of fermented foods whose consumption actually dates back thousands of years to 6000 B.C, so this is certainly not a recent fad. The science behind fermented foods has developed rather a lot since then and we now know that fermented foods could have a large part to play in improving and sustaining health, especially gut health. Foods that come under this category are sourdough, sauerkraut, apple cider vinegar, Kimchi and Kefir to name but a few. Why not make it one of your New Year’s resolutions to try one of them! Many of you may currently be in the throes of ‘Dry January’ and be refraining from alcohol for the entire month. This of course will have great effects on your physical and mental health and as people become more aware of the harmful effects that overconsumption, or frequent consumption of alcohol can have. Many people are now choosing to significantly cut back on it. 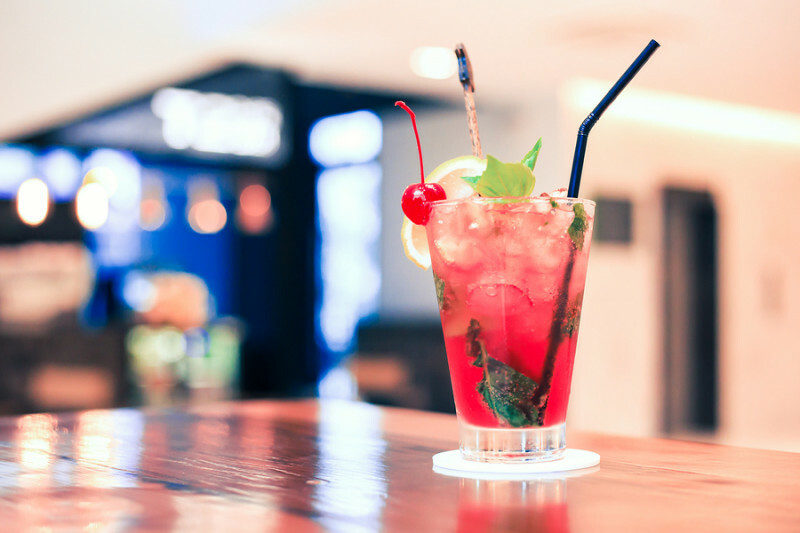 This means that alternative drinks such as ‘mocktails’ (cocktails without alcohol’), alcohol free wine or ‘lighter’ wines are becoming more popular and offer a healthier alternative whether at home or out in bars and restaurants. If you are not convinced by this just remember that regular and overconsumption of alcohol is associated with increased risk of several cancers, it affects sleep quality and energy levels and has a detrimental effect on immune function, so surely that gives a few good reasons to look out for more variety in alcohol-free or lighter alcohol drinks. You may surprise yourself and actually like them! The drive to package foods in more environmentally friendly packaging is certainly a primary mission for most companies now, especially as more and more consumers consider this when shopping and will even now rule out products that don’t fit this criteria. The damaging environmental effects that plastics have has been well publicised in 2018. Plastic straws for example, became an unlikely enemy last year and many companies have now replaced these with environmentally friendly, biodegradable, non-soggy straws, which are surprisingly equally as effective. Despite these changes excessive and unnecessary food packaging is still been used to sell many foods. Like last year, the drive to reduce plastic and other non-environmentally friendly food packaging will continue and remain a primary focus and trend for this coming year. 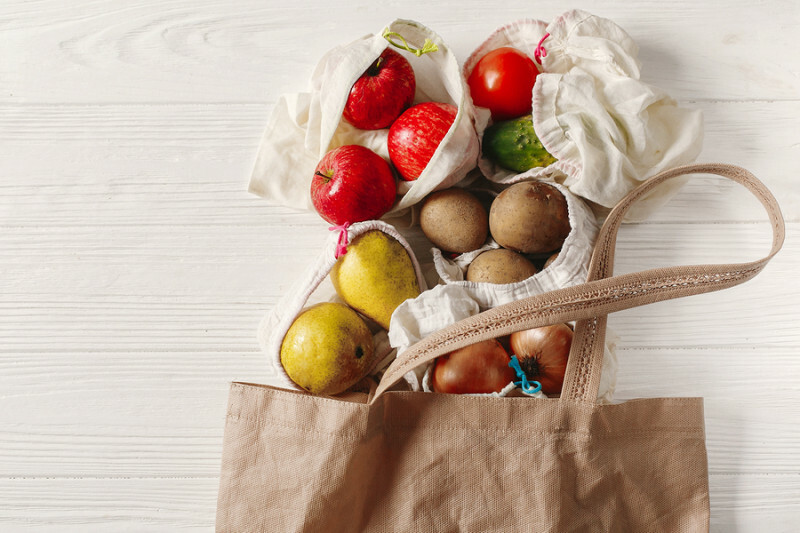 Many brands are now looking at using alternative packaging material such as beeswax, waxed canvas or silicones, so look out for this change in your local supermarket. You can help with this by starting or continuing to take your own bags shopping with you and not rely on the plastic bags offered at supermarkets. January is a time we often set ourselves new personal goals or trends to follow and often these can revolve around making healthier choices to ultimately improve health in all respects. Some of the trends discussed above may give you a few more ideas about what other changes you could implement in the year ahead to ensure a Happy New Year for you and your family!